This entry was posted in candle scents, clean fragrance, fragrance oil, Fragrance Oils, fragrances, Natures Garden, soap scents, wholesale fragrance oils and tagged body safe fragrance oils, candle scents, clean aroma, clean crisp air fragrance, clean crisp air scent, clean scents, clean smelling scent, fragrance that is clean smelling, refreshing scent, soap scent, water fragrance, water scent, wholesale fragrance oils on July 28, 2014 by Deborah Ward. What does Clean Crisp Air Smell Like? This fragrance oil by Natures Garden is perfect if you are looking for a fragrance that reminds you of fresh clean air filled with hints of greenery and soft florals. This complex fragrance begins with top notes of fresh clover and ivy. Middle notes of baby’s breath, periwinkle, and lily of the valley. Base notes of ozony fresh notes. An NG Original Fragrance! 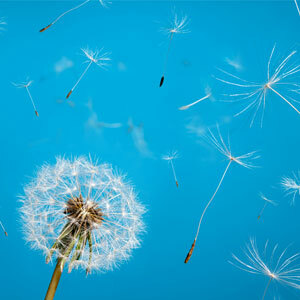 How Do Our Customers Use Clean Crisp Air Fragrance Oil? For candle makers and home scenters; Clean Crisp air has a strong fresh scent with awesome throw. Our customers use this fragrance oil in their 415 soy wax, 464 soy waxes, gel wax, and Joy wax. This fragrance oil even works very well for wax melts. This fragrance oil has been used to make odor eliminator, linen sprays, incense, and sachet beads. 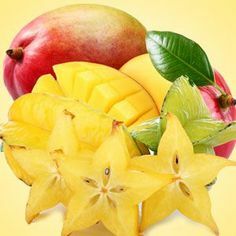 On the bath and body end of products, the usage percent for this fragrance oil is 5%. This fabulous fragrance is used to create: melt and pour soaps, bath salts, body creams, laundry soaps, and handmade lotions. And, for those of you that make cold process soap, this fragrance is great. Here are the official results: Some acceleration, no separation. No discoloration. Very creamy, nice clean scent! Try our free Chunky Votive Candle Recipe using Clean Crisp Air Fragrance in our Free Recipe Box. 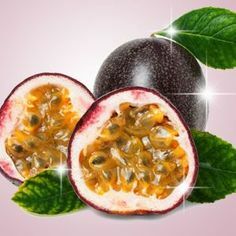 This entry was posted in fragrance oil, Fragrance Oils, fragrances, lavender fragrance and tagged body safe fragrance oils, candle scent, candle scents, fragrance oils, fragranceoil, French lavender, French lavender fragrance, French lavender fragrance oil, French lavender scent, lavender fragrance, lavender fragrance oil, lavender scent, natural fragrance, natural lavender fragrance, natures garden, soap scent, soap scents, wholesale fragrance oils on July 28, 2014 by Deborah Ward. This wonderful lavender fragrance oil is both a strong and calming scent that is in high demand. With Natures Gardens French Lavender Scent, you will find a beautiful combination of lavender with a hint of powdery vanilla. It works very well in any application and is often the most preferred lavender scent. 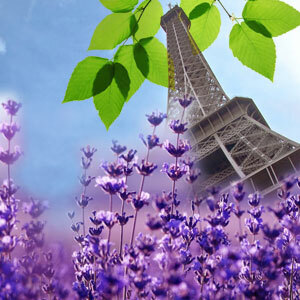 In fact, even our customers who don’t gravitate to floral scents are blown away by our French lavender fragrance. What does French Lavender Smell Like? This fragrance oil by Natures Garden is the unique aroma of French lavender flowers. A Best Seller! How Do Our Customers Use French Lavender Fragrance Oil? For the fabulous people who make candles or home scenting items; our clients use this French lavender scent in their soy waxes like 415 and 464, pillar of bliss wax, paraffin wax, parasoy and Joy Wax. The scent throw with this fragrance is amazing in both hot and cold. With a long lasting and strong aroma, French lavender scent also performs well in scenting incense, smelly jellies, and air fresheners. Some of our customers even use this oil in their electric oil burners, and absolutely love how their homes smell. As for scenting bath and body products, this French lavender scent is a spectacular! The usage rate for this relaxing scent is 5%. It does contain a vanillin content of 1.4%, so vanilla white color stabilizer is recommended to help reduce discoloration in the finished product. This relaxing fragrance is used to scent: Body Butters, Lotions, Body Splashes, Melt and pour soaps, bath whips, shower gels, sugar scrubs, and bubble bombs. Finally, for those of you that are cold process soapers, you are going to adore this scent. Here are the official results: No ricing, no acceleration. Discolors to a chocolate brown. Scent is a nice combination of vanilla and lavender. If you are looking for an awesome project using Natures Garden’s Bite Me Fragrance Oil, check out Natures Garden’s free recipe for theFoaming Bath Salts Recipe. This entry was posted in bath and body, candle fragrance oils, essential oil, Fragrance Oils, Natures Garden and tagged bug repelling do it yourself recipe, can mosquitoes smell us, candle making supplies, candlemaking supplies, citronella essential oil, citronella fragrance oil, different citronella scents, do it yourself recipe, fragrance oil, fragrance oils, fragranceoil, free bug repelling candle recipe, free bug spray recipe, free recipes, gel wax candle recipe, homemade bug repeller, how does citronella help, how long have mosquitoes lived, how many different kinds of mosquitoes are there, natures garden, soap making supplies, soapmaking supplies, summertime pests, what repels mosquitoes, why are mosquitoes drawn to us, why do mosquitoes attack, why does citronella work on July 24, 2014 by Deborah Ward. 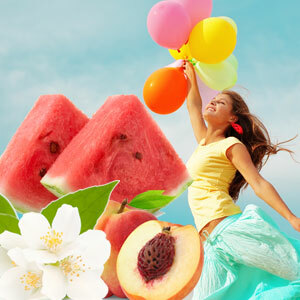 Summer time, the period of the year when we all enjoy outdoor festivities. 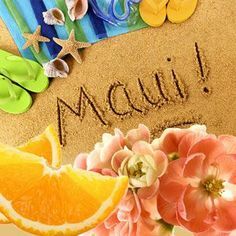 Whether they be parties, cookouts, hiking, gardening, or just relaxing by the pool; we find reasons to be outside. We love the gorgeous weather and the warming sun rays. 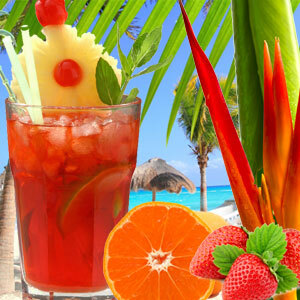 However, with the fun in the sun that we all seek, with it also comes the dreaded mosquitoes. When the weather gets warm, these uninvited pesky critters seem to always show up in droves. Invading not only our space, but feeding off us and our families. The results of their feast, itchy, red, swollen bumps on our skin. Mosquitoes have been in existence some 170 million years. In the United States, there are currently over 175 different species accounted for. It is safe to say that they are not going to be going any where soon, but there are measures that we can take to help ward off these insects. Citronella has been known to repel mosquitoes for a long time. Burning citronella candles around the yard or applying bug repelling spray to ourselves can usually do the trick. But have you ever wondered how this works exactly? 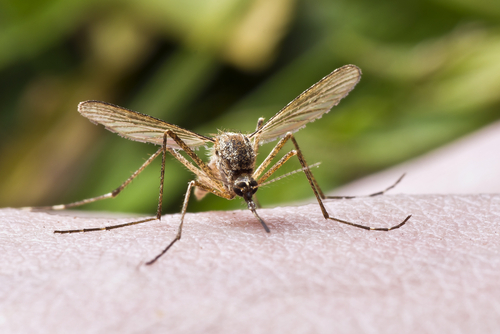 Just like a primal animal, mosquitoes are on the hunt for one thing: FOOD. And, we are that food source. Drawn to carbon dioxide (from our exhaling) uric acid (from our blood), and lactic acid (from our sweat glands), insects like mosquitoes are able to smell us up to an amazing 164 feet away. Once those delectable scents are picked up by the mosquitoes, they are then able to locate us to feed. It is commonly thought that the scent of citronella repels mosquitoes away. In fact, studies have shown that when the citronella aroma is in an environment, mosquitoes will land around 40% less times than when it is not present. But, the fact is mosquitoes will still land. This is why citronella does not necessarily repel. Instead, citronella masks. What this means is that when the scent of citronella (whether by means of a candle or a body spray) is present the 3 most common drawing factors of mosquitoes (carbon dioxide, uric acid, and lactic acid) are covered. It is almost as if the mosquitoes no longer have the ability to sense us anymore. And, since they cannot smell us, they will move on to “sweatier pastures” so to speak. Sure, any of your local grocery stores or super markets have aisles of outdoor summer time displays hosting many different bug repelling products that you can purchase. You however can make your very own insect repelling/masking items right from your home. You will know exactly what is in the product, and you will also save money by doing it yourself. Natures Garden currently has four different citronella oils available. There is the straight citronella scent, or the citronella java essential oil. Both of these oils can be viewed by clicking on the individual link. For those of you that do not like how the scent of straight citronella smells, we also have citronella options for you. Citronella Berry fragrance oil is a sweeter version of citronella. This fragrance contains the essential oil of citronella with the combined fruity notes of strawberry, mandarin, and raspberry. There is also Lime Citronella fragrance oil. This wonderful fragrance oil is the combination of essential oil of citronella and notes of lemon, fresh lime, and white flowers. Now, if you are interested in viewing possible candle and body products that you can make with these scents, here are three of Natures Gardens finest bug repelling recipes. By clicking on the link, you will be able to see the recipe. Each recipe has the step by step instruction as well as all of the items listed that you will need to make them. These recipes are all easy to make and take very little time to accomplish. They are great ways to ward off mosquitoes and keep you and your family mosquito bite free this summer. This entry was posted in candle making supplies, cold process soap, Fragrance Oils, Natures Garden, Soap making supplies and tagged best selling scent, candle making supplies, candlemaking supplies, clean aroma, clean breeze fragrance, clean breeze scent, clean scent, cold process soap scent, cp soap smells, fragrance oil, fragrance oils, fragranceoil, fresh laundry fragrance, fresh laundry scent, good aroma, great scent throw, house smell good, natures garden, oils for electric burners, oils for oil burner, refreshing fragrance, refreshing scent, room deodorizing scent, room freshening scent, scents that smell good, soaps great, works well in soy on July 23, 2014 by Deborah Ward. Our customers are truly amazed at the awesome clean and fresh aroma that is NG Clean Breeze Type Fragrance. A best seller year round, this clean scent smells just like you are drying a load of laundry. A dead on dupe, this very popular fragrance comes highly recommended; with many people reporting selling out of their products immediately. A clean scent that is the perfect aroma for any scenting medium, NG Clean Breeze Type is a layered fragrance that melds together creating the perfect scent. In fact, many of our clients admit that this clean scent is exactly what you want your home to smell like when visitors walk through the door. What does NG Clean Breeze Type Smell Like? Compare this fragrance oil by Natures Garden to the smell of the fabric softener. A fruity floral blend of peach, watermelon, neroli and jasmine on a dry down of aquatic notes and musk. One of our favorite scents at NG. A Best Seller! 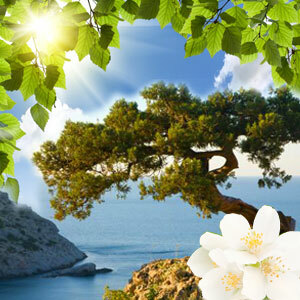 How Do Our Customers Use NG Clean Breeze Type Fragrance Oil? For all of you that are candle crafters and home scenters; this fragrance will make your house smell so good. Refreshing and crisp, this clean scent is the complete package. A great deodorizing scent for any room in the house, cars, offices, or dorms; NG Clean Breeze Type is strong in all waxes like: soy wax 415, 444, and 464, Joy wax, Gel wax, WOW wax, Palm Container wax, and Pillar of Bliss. Once scented, these candles maintain a strong scent throw; both hot and cold. As for other home scenting ideas; this clean scent makes the perfect room freshening spray and car deodorizer. As for other mediums, this clean scent is used to make fabulous smelly jellies, strong aroma beads, and can even be used for liquid potpourri and in oil burners too. On the bath and body end of products, this clean scent is most definitely a keeper. The usage rate for NG Clean Breeze Type is 5%. This wonderfully clean scent is used to fragrance: body oils, melt and pour soaps, bath bombs, foaming hand soaps, whipped body butters, bath gels, and even bath melts. And, for those of you that are cold process soapers, get ready to fall in love! Here are the official results: Love This! Some acceleration, no separation. No discoloration. Soaps Great! This entry was posted in candle fragrance oils, Fragrance Oils, leo scents, Natures Garden, Soap making supplies and tagged body safe fragrance oils, candle making scents, candle making supplies, candle scents, candlemaking supplies, cold process soap scents, creative spin on fragrances, creative spin on scents, floral fragrances, floral notes, fragrance notes for leos, fragrance oil, fragrance oils, fragranceoil, happy birthday leo, homemade, Leo fragrance oils, leo personality traits, leo scents, marketing ideas, natures garden, scents for leo, soap making supplies, soap scents, soapmaking supplies, warming fragrances, warming scents, what do leos like, zodiac signs and scents on July 22, 2014 by Deborah Ward. We wanted to start this year off with a fun and creative presentation. So, we conducted some research to find exactly what fragrance notes and combinations would most likely correspond with the various Zodiac signs. Based on specific personality traits of each sign, we were able to assemble particular scents that a person born under the Leo zodiac sign would like. 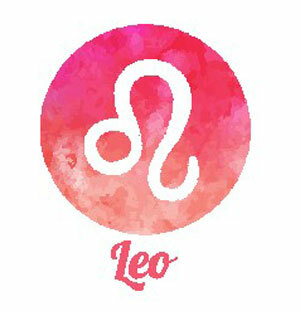 Beginning July 23rd, Leos quickly and playfully become the center of attention. So, without further adieu; we at Natures Garden would like to be the first to say Happy Birthday to all Leos. And, now we would like to welcome everyone to the lively world of Leo Scents. Leos are considered anyone born between and including the dates of July 23rd through August 21st. Unfortunately, we currently do not have anyone on staff at Natures Garden that is a Leo. We do have family and friends that are Leos though. They are a very warm and welcoming group with an enthusiasm and zest for life that is unmatched. Always willing to be there and help out, Leos are considered a true and valuable friend. When times get crazy, they will rush to console, cheer up, or celebrate with you. Leos like to keep things in the present; never dwelling on what could have been. Their cheerful and optimistic attitude is one of the reasons as to why Leos are always surrounded by friends. This loving and good natured group is faithful and charitable. They are open minded and are quick to become the center of attention in a group setting. Leos are playful and fun; accepting and appreciating others for who they are. 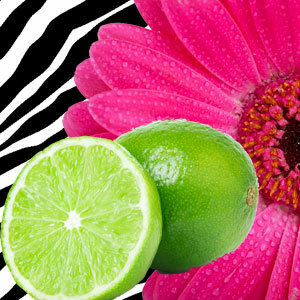 When it comes to scents, Leos prefer limelight scents with warming and floral notes. If you are interested in seeing all of our zodiac sign fragrance suggestions, please click on the link. This entry was posted in bath and body, candle making supplies, cold process soap, Fragrance Oils, Natures Garden and tagged candle making supplies, candlemaking supplies, candy fragrance, candy scent, cotton candy scent, delicious scents, fair time scents, fluffy candy scent, fragrance oil, fragrance oils, fragranceoil, fragrances for soy, fun fragrances, fun scents, good kid smells, kid scents, kids fragrances, make your house smell good, natures garden, perfect pour scents, scents for bath and body, scents for cp soap, scents that are long lasting, scents with strong throw, soap making supplies, soapmaking supplies, summer scents, sweet fragrances, sweet scents, unique fragrance, unique scent, works well in soy on July 21, 2014 by Deborah Ward. 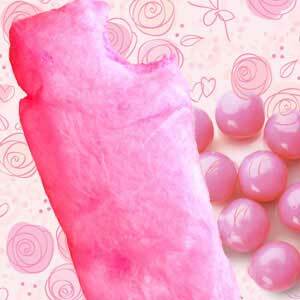 Being one sweet treat scent, Fluffy Pink Candy Fragrance is the perfectly delicious combination all things candy. 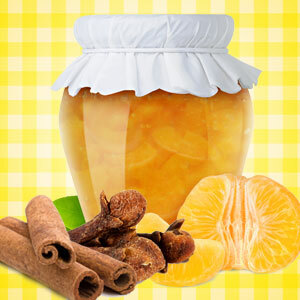 With the divine balance of tart and sweet, this fluffy candy scent is a favorite among children and the young at heart. A great year round scent, fluffy candy fragrance is more than just pink cotton candy. With mounting layers of fun, sweet childhood memories creating tiers of complimenting aromas, this yummy fragrance is a great selection for your younger clientele products. What does Fluffy Pink Candy Fragrance Oil smell like? 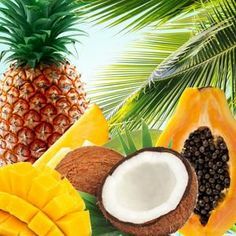 A fascinating fragrance oil by Natures Garden which is a blend of juicy bubblegum, cotton candy, juicy apples and pears blended together with sugared candy lemon drops meshed with crushed Madagascar vanilla. How do our customers use Fluffy Pink Candy Fragrance Oil? For all of you candle crafters and home scenters; this fluffy candy fragrance is used in Gel wax, Palm Pillar wax, Joy wax, WOW wax, Pillar of Bliss wax, Paraffin wax, and in Soy waxes. Many of our customers report that the scent throw of this fun scent is strong and long lasting. Once customer even said when burning, the fluffy candy scent filled her home quickly. As for home scenting ideas; this fluffy candy scent works great in everything from smelly jellies to aroma beads, kids room freshener sprays, incense, and electric burners. For the bath and body end of products, this fluffy candy scent is amazing in products. The usage rate for this fragrance oil is 5%. However, Fluffy Pink Candy scent does contain a .18% vanillin content, so vanilla white color stabilizer is considered a must by our clients to offset and stabilize discoloration in your finished products. Some of the body care products that are made with this fluffy candy scent are: perfumes, lotions, kids cologne, melt and pour soaps, foaming body frostings, body butters, bath bombs, and sugar scrubs. Finally, for those of you that are cold process soapers, this fluffy candy fragrance is awesome in cp. Here are the official results: Perfect Pour. No ricing, no acceleration. Final discoloration is a caramel. Scent is nice and strong. If you would like to try this fluffy candy fragrance in a recipe, Natures Garden has an amazing Cotton Candy Emulsified Sugar Scrub recipe you can view by clicking on this link. It is fun for all ages! This entry was posted in all natural, bath and body, hair care, moisturizing ingredient, Natures Garden and tagged candle making supplies, candlemaking supplies, fragrance oil, fragrance oils, fragranceoil, good oils for hair, grape seed oil for hair, grapeseed oil for hair, growing long hair, hair care, having healthy hair, healthy hair, how to apply light oils to hair, how to fight dandruff, how to get shiny hair, how to help brittle hair, how to help damaged hair, how to keep your hair healthy, how to keep your hair moisturized, how to make hair grow, how to prevent split ends, how to seal in moisture, how to strengthen hair, jojoba for hair, keeping long hair, natures garden, oils for hair care, preventing split ends, soap making supplies, soapmaking supplies, sunflower oil for hair, sweet almond oil for hair, what are the benefits to adding oil to hair, what is sealing your hair, what is sebum, what light oils can you put in your hair, which oil is most like sebum on July 20, 2014 by Deborah Ward. When your hair is dry, moisturizing will help prevent the hair from having split ends, or becoming brittle and breaking off. However, sometimes you need more than just moisturizing. In order to help keep the hair moisturized, you can also seal it. By sealing your hair, you are essentially trapping the moisturizing agent into each strand of hair. Sealing oils are light oils. There are several different sealing oils that you can use on your hair. After these oils are applied, they do not completely absorb into the hair. This is because these oils contain molecules that are of a larger size. So, instead of being absorbed fully by the hair, they coat the hair. This coating is what allows the moisturizing element to stay put. Whether you moisturize your hair with a specific water based product, or simply apply the sealing oil (or light hair oil) after your hair is wet from the shower, the sealing oils do their job; prevent evaporation and seal in the moisture. The perfect solution when there is high humidity outside and you want to block the outside environment from wreaking havoc on your hair. Or, just a great way to prevent frizzy hair; sealing oils are the answer. A sealing oil will not only lock the moisture in, but also keep outside elements out, and as an added bonus you will find that your hair style will stay in place for a longer period of time. One option is if your hair is dry. Using a spray bottle, mix the oil or oils of your choosing. Then, to the bottle add some leave in conditioner and water. Shake vigorously and spritz thoroughly into the hair. The next option for applying sealing oils would be after your hair is already wet. To the wet hair, you would add the leave in conditioner. Then using your hands, gently work the sealing oil in. When going this route, it is important to remember to really focus on the ends of the hair. Regardless of which way you apply your sealing oil, once it is in you may proceed with styling as normal. Because these sealing oils do not absorb but rather coat the moisture in, you will find that after your hair is styled, it will have a beautiful shine. This is especially true if your are styling with a blow dryer. These oils are considered to be very light. This means that they will not weigh down your hair. Also, unlike other oils, these oils will not leaving your hair looking greasy either. Used alone or in combination with one another, these oils will seal the deal when it comes to locking in moisture for your hair. 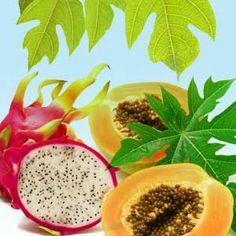 And, they also contain various other benefits for your hair. Grape Seed Oil– An effective oil in preventing moisture loss, grape seed oil has a high amount of linoleic acid. This acid is a type of omega-6 fatty acid. A light oil that does not leave hair looking or feeling greasy, grape seed oil also contains important nutrients, nourishing and promoting healthy hair. In fact some of the key benefits for the use of this oil include: moisturizing hair, strengthening hair, combating dandruff, and encourage hair growth. Besides the linoleic acid, grape seed oil also contains antioxidants like the nourishing Vitamin E, proteins, and minerals. Jojoba Oil– Jojoba oil has always been known as a wonderful ingredient to include in any body care product. But, this sealing oil is extremely special in that it is the one that most closely resembles our hairs natural oil, aka sebum. Having 98% monounsaturated fats, jojoba oil strengthen the hair strands while it hydrates, and can even help repair damage. This creates hair that is shiny, soft, and full of body. Being rich in Vitamins A, B1, B2, B6, and especially Vitamin E, jojoba oil not only nurtures it also nourishes. And, because jojoba oil is so similar to sebum, this sealing oil not only keeps the hair moisturized, but it can incredibly enhance the overall healthiness of your hair. Sweet Almond Oil– This sealing oil is great because it does not only nourish but also smooths the hair. Containing tons of vital nutrients to allow your hair to not only be healthy but also grow thick, long, and strong, Sweet Almond Oil has both polyunsaturated and mono fatty acids. Besides the nutrients, sweet almond oil also has vitamins A, B1, B2, B6, D, and high amounts of E. Vitamin E is beneficial for its conditioning aspects for hair. It is also believed that when massaged into the scalp on a regular basis, sweet almond oil will also help to reduce and control hair loss. Sunflower Oil– The second most popular oil for hair care products, sunflower oil is plentiful and rich gamma linolenic acid (omega-6). But, it also includes oleic and palmitic acids, lecithin, and tocopherols. This sealing oil is also considered an emollient meaning it has lubricating elements which prevent water loss. A very nourishing oil for hair, sunflower oil contains vitamin A, B1, B5, B6, C, D, and E. A versatile oil with many benefits, using sunflower oil in your hair will help make your hair more manageable, control frizz, and hydrate. These oils are all great candidates to having a healthy, full bodied head of hair with lustrous sheen and elasticity. And let’s not forget about all of the nourishing and repairing aspects these oils also provide. All in all, pampering your hair by showing it a little TLC with these oils will make for one happy head of hair. This entry was posted in candle fragrance oils, cold process soap, Fragrance Oils, Natures Garden, Soap making supplies and tagged bakery fragrance, bakery scents, bath and body scents, best lemon fragrance, best lemon scent, candle fragrances, candle making supplies, candle scent, candlemaking supplies, delicious scent, fragrance oil, fragrance oils, fragranceoil, free recipe, homemade, how to make pie soap, how to stop discoloration in products, lemon meringue pie fragrance, lemon meringue scent, lye soap scent, melt and pour soap project, natures garden, perfect pour scents, perfect summer scent, pie candle scent, smells like the real thing, soap making supplies, soap scents, soapmaking supplies, soy wax fragrances, strong scent throw, strong scents for soy wax, summertime scent, vanilla white color stabilizer, yummy scent on July 19, 2014 by Deborah Ward. Nothing says summer like a piece of Lemon Meringue Pie. This true to life lemon meringue scent is the perfect addition to your bakery aroma line. With an amazing balance of tangy lemon and sweet sugared meringue this decadent treat is incredible. So realistic that you can smell every lovely layer from the buttery crust, tart lemon filling, to the classic meringue topping, this lemon meringue scent is perfection at its finest. Many of our customers state not only is this scent delicious, but it is one of the best lemon scents in the market. What does Lemon Meringue Pie Fragrance Oil smell like? This wonderful fragrance oil by Natures Garden is the aroma of fresh baked pie filled with lemon custard and lemon zests topped with a creamy vanilla meringue. 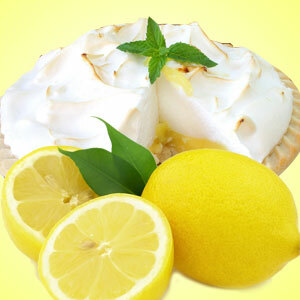 How do our customers use Lemon Meringue Pie Fragrance Oil? For anyone who is a candle crafter or home scenter, this lemon meringue pie scent is a must have fragrance. Our customers use this yummy scent in their soy tarts and soy waxes, Palm Container wax, Joy wax, paraffin wax, and WOW wax. In fact, this lemon meringue scent is the perfect fragrance to make the best pie candles with. Known for having amazing scent throw, lemon meringue fragrance oil has a natural, realistic lemon scent. And, it even gets stronger as it cures. As for home scenting ideas, this nice lemony scent works very well in electric burners, aroma beads, and smelly jellies too. For the bath and body end of products, this pick me up fragrance has a usage rate of 5%. 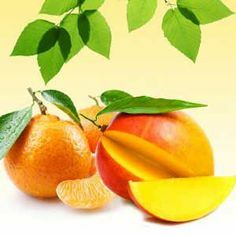 Now, this lemon meringue scent does contain a vanillin content of 2%, so using Vanilla White Color Stabilizer is highly recommended to offset discoloration in your finished products. 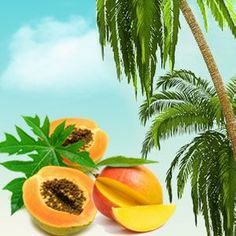 This wonderful and delicious scent is used to make a variety of personal care items like: sugar scrubs, melt and pour soaps, whipped shea butters, salt bars, lotion bars, body butters, and bath bombs. And, for those of you that are cold process soapers, this lemon meringue scent tops the charts. Here are the official results: Perfect Pour, no ricing, no acceleration, soaps like a dream, scent is very strong and lasts. Discolors to a tan color. If you would like to try this lemon meringue scent in a recipe, please click on this link to see Natures Gardens Lemon Meringue Pie Soap Recipe using melt and pour soap. This entry was posted in bath products, candle fragrance oils, cold process soap, Fragrance Oils, Natures Garden and tagged bamboo scent, botanical fragrance, botanical scent, candle making supplies, candlemaking supplies, clean fragrance, clean scent, clean type scent, earthy fragrance, favorite fragrance, favorite scent, fragrance oil, fragrance oils, fragranceoil, green fragrance, green scent, herbal fragrance, herbal scent, homemade, keeper scent, massage oil scent, must have fragrance, must have scent, natures garden, perfect for bath and body items, relaxing scent, scent for bath products, soap making supplies, soapmaking supplies, soy wax scents, spa like fragrance, spa like scent, strong scent throw, unique fragrance, unique scent, unisex fragrance, unisex scent, works well in soy, zen like scent on July 18, 2014 by Deborah Ward. Bamboo Hemp is a very green scent. It seems that many of our customers cannot get enough of the fresh and clean aroma of this green scent in products. Absolutely adored by both men and women of all ages, bamboo hemp is quickly becoming many households’ family favorite fragrance. Being a huge win in both the categories of spa and green scents, bamboo hemp does not disappoint. With it soothing, sweet, and relaxing aroma, this unique fragrance is botanical and very Zen like. A sophisticated fresh and green scent that is elegant, this delightful aroma comes highly recommended by our customers for all applications. If you are looking for an earthy fragrance with a crisp airy scent, Bamboo Hemp fragrance is what you need! What does Bamboo Hemp Smell Like? Join the GREEN MOVEMENT with Natures Garden’s Bamboo Hemp fragrance oil! An incredibly well-balanced blend of bamboo stalks, vetiver, and patchouli, with undertones of hemp seed and oakmoss. How Do Our Customers Use Bamboo Hemp Fragrance Oil? For those of you who are candle crafters, this green scent smells amazingly clean. With reviews showing strong scent throw in many various waxes, Bamboo Hemp is a huge hit. Working well for Soy, WOW, Pillar of Bliss, Palm Pillar and Container, and Joy wax; this green scent aroma is refreshing and clean. Now, for those of you who are home scenters, Bamboo Hemp is a keeper. Another green scent that will fill your home with the crisp scent of nature, this fragrance is perfect for anytime of the year. 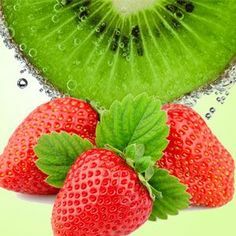 The home scenting products that this green scent has been used to make are: incense, room refreshing sprays, oil burners, smelly jellies, hanging closet deodorizers, and reed diffusers. For bath and body crafters, this green scent is the perfect fragrance for any spa product lines. With an amazing combination of fresh, earthy, and crisp aromas, this relaxing scent is unisex. 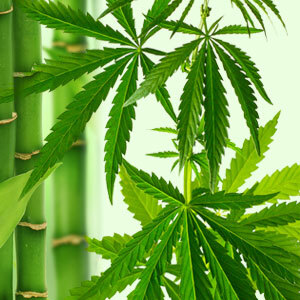 The usage rate for Bamboo Hemp Fragrance oil is 5% and it does contain a .33% vanillin content. Therefore, vanilla white color stabilizer is recommended to offset discoloration in your finished products. This fabulously green scent is used to make: lotions, massage creams, body butters, melt and pour soaps, salt bars, sugar scrubs, bath salts, shower gels, body sprays, roll-on perfumes, bath bombs, and shampoos. According to our customers, this green scent is a keeper! Finally, for those of you that are cold process soapers, this relaxing fragrance is a winner. Here are the official results: No ricing, slight acceleration, stick blend and soap at cooler temps. Discolors to a cream color. Very well liked, especially by males. Fresh and clean.